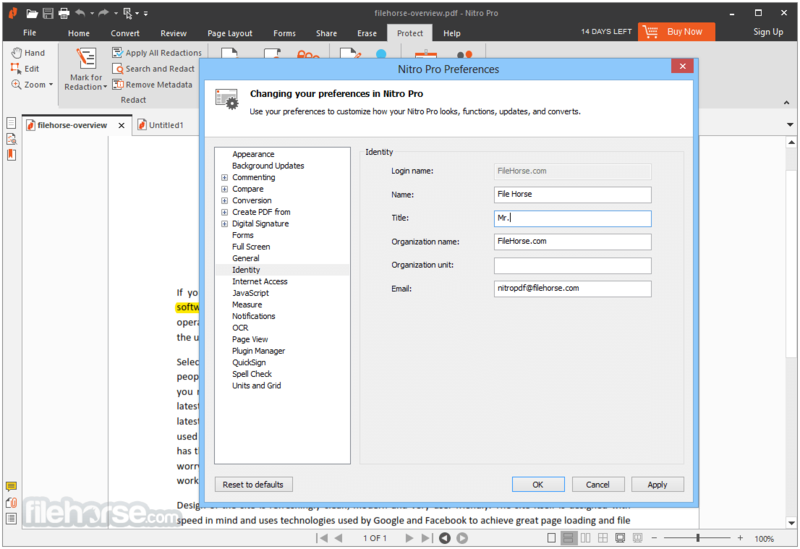 Handle PDF files and digital documents effortlessly, from the desktop to the Cloud with Nitro Pro. 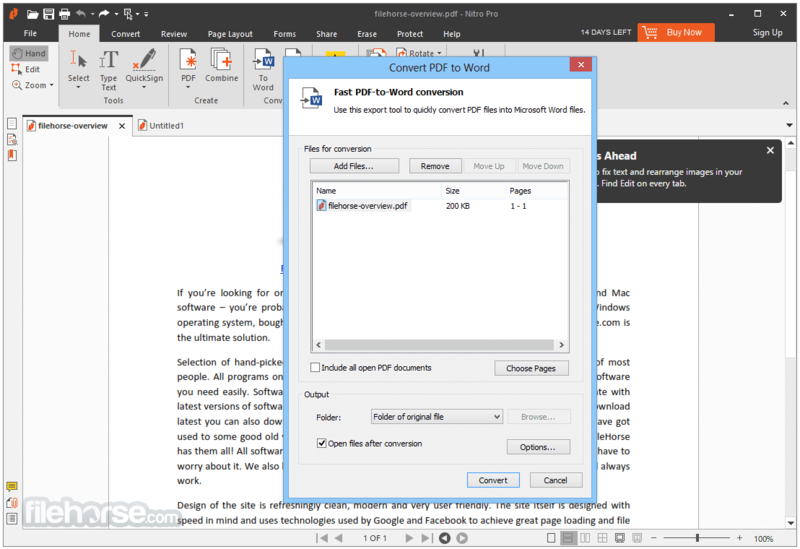 It helps you easily Create industry-standard PDF files from almost any file format. And sharing is seamless: any PDF created in Nitro Pro can be opened and viewed on virtually any machine, and will display as you intended. 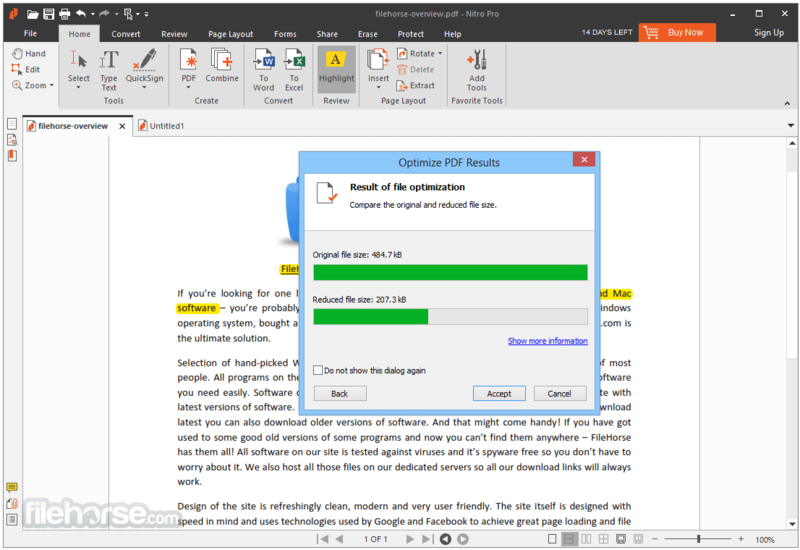 Nitro Pro lets you quickly create, convert, combine, edit, sign, and share 100% industry-standard PDF files for superior results and savings. 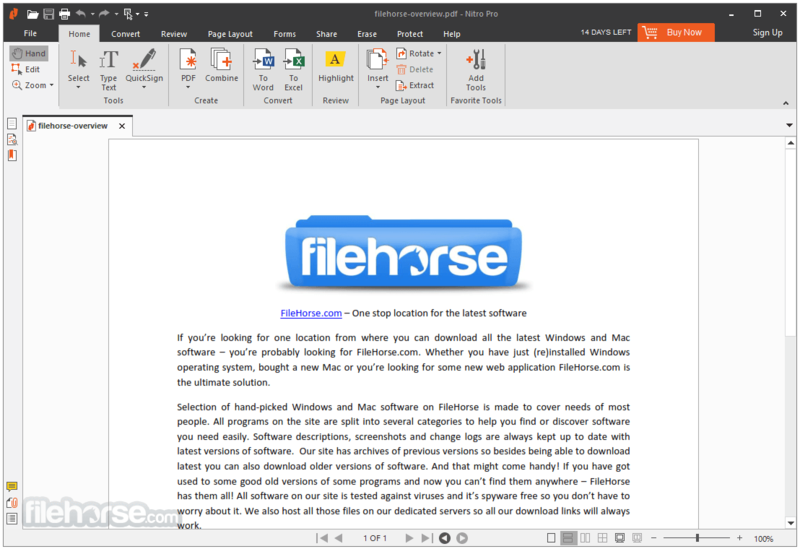 It gives you a powerful set of easy-to-use tools that make working with digital documents simple, straightforward, and more cost-effective. From individual users to large enterprises, Nitro Pro 64 bit gives users the tools to work smarter and faster. Explore more of the powerful features that accelerate the way businesses create, prepare and sign documents. 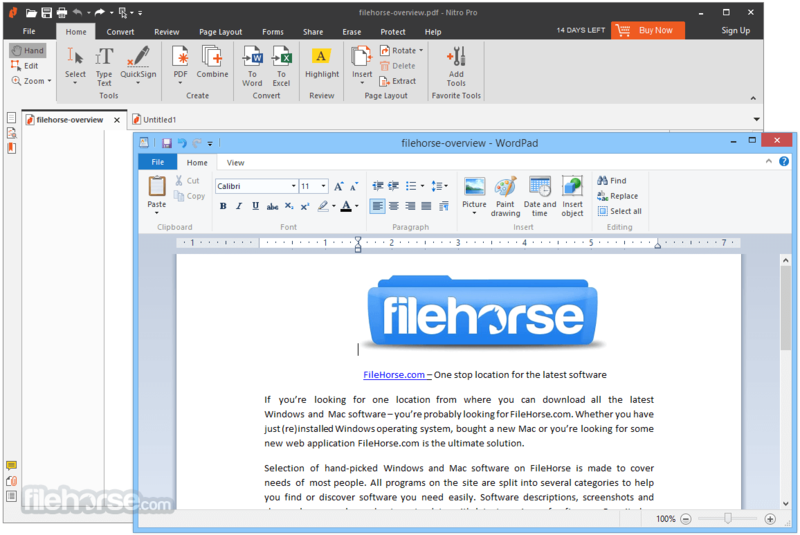 The software offers a range of easy-to-use markup and revision tools that ensure accurate version control. It makes it easy to fill, sign, secure, and certify PDF documents, which means your confidential information remains safe.